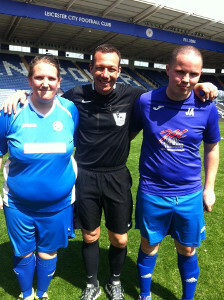 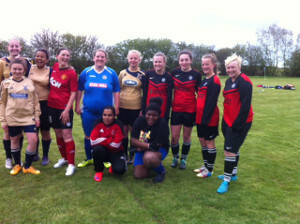 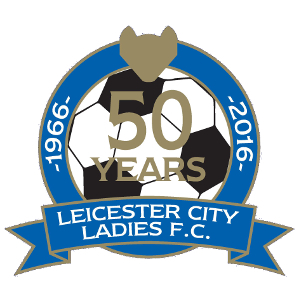 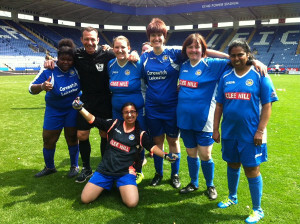 Leicester City Ladies would like to thanks everybody who attended the 50th Anniversary Open Day at Linwood Fields. 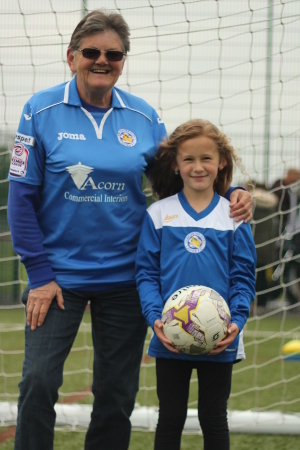 Leicester Elite will be running a half term football course in partnership with coaches from Leicester City Ladies for boys and girls aged 4 to 14 years old. 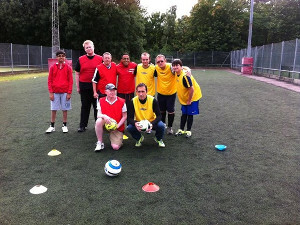 The cost per week for each of these courses start at only £40.00! 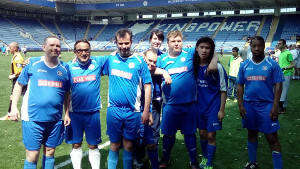 Manjit Takhar leads the way for Partially Sighted Futsal for Leicester City Woodgate Inclusive F.C. 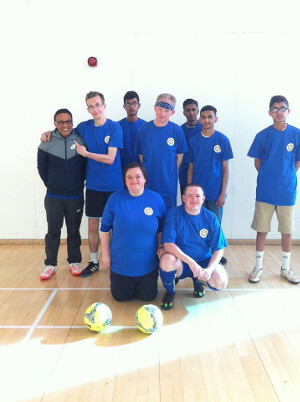 Manjit has worked very hard with a variety of groups and agencies during this season to identify and recruit potential new players to develop a specific Partially Sighted Team, several new players have been identified, but often they have been unable to commit to attend the Futsal sessions and then travel to the West Midlands once a month to compete in the National Partially Sighted Futsal League. 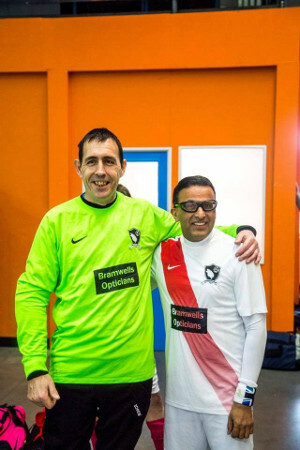 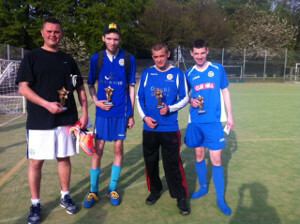 Manjit and Nick Bramley, a key player and goal keeping coach at Leicester City Woodgate, are so keen to play in the Partially Sighted League, that for the last 2 seasons, they have joined the Winsford Wolves Partially Sighted Team who play in the National League. 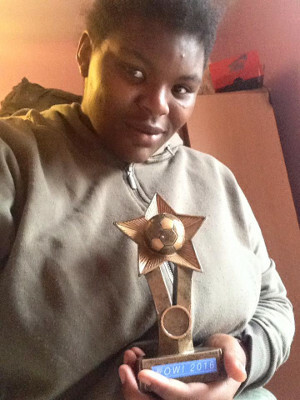 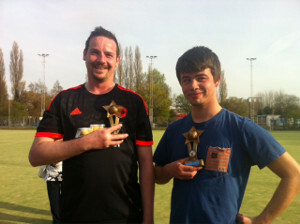 Both players play a key role within the team and were influential in the team finishing runners up in the League this season, narrowly missing out on on the top spot. 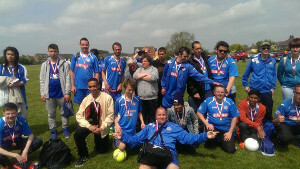 At the League Presentation Event held at Swindon FC, Manjit and Nick were both nominated for Players, Player of the Season for the League. 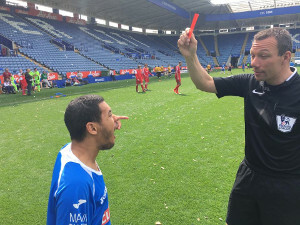 Nick Bramley was very proudly announced the overall winner and presented with the League Players Player of the Season Award and was absolutely delighted. 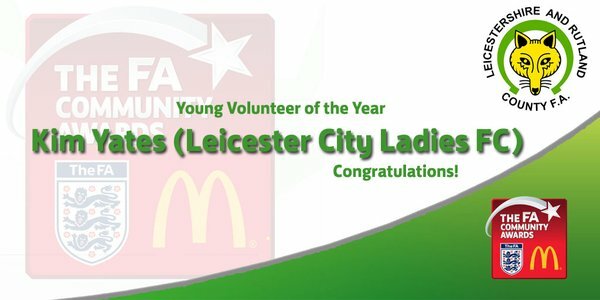 Both Players have worked tremendously hard during the season and showed great commitment travelling to games on a monthly basis as well as playing for Leicester City Woodgate in our league Fixtures programme. 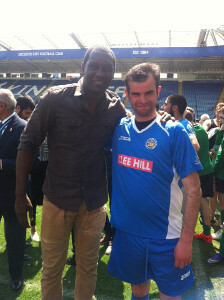 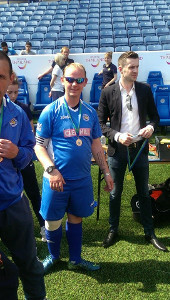 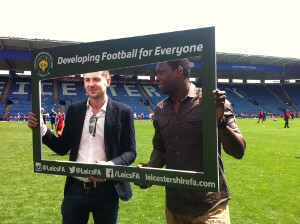 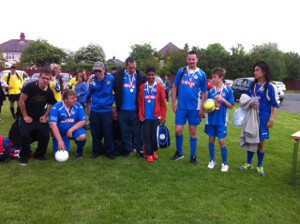 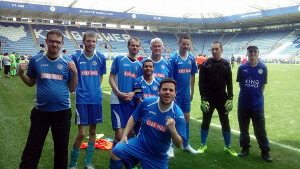 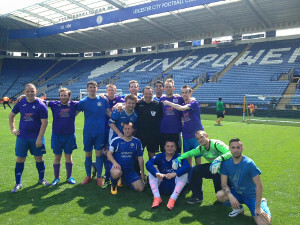 Posted in News, Leicester City Woodgate FC Inclusive "Football for All"
LCLFC invites all their players, managers, coaches, volunteers, families from over the 50 years to join in with our LCLFC 50th Anniversary Open Day on Sunday 29th May at Aylestone Park Football Club, Saffron Lane, Leicester, LE2 6TG. 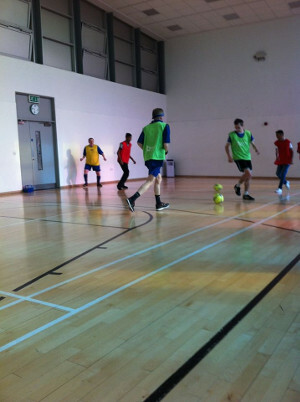 Arrival from 1.30pm, catch up with friends, have a game of football and join in the football fun. 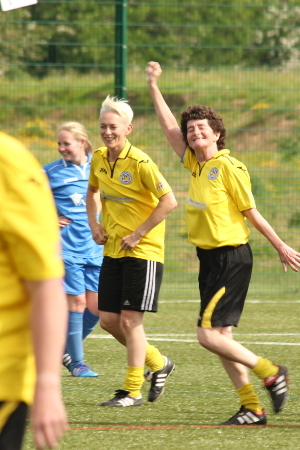 Small sided, fun games will be played from 2.00-5.00pm on the rubber crumb pitches, amid the celebrations and remembering your playing days at LCLFC. 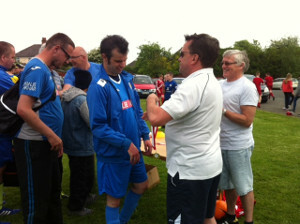 Get together with old footy mates and have a game of football against other legends!! 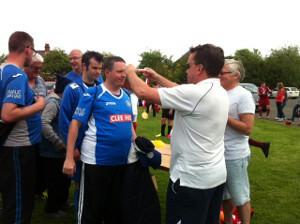 Refreshments will be available to buy throughout the day. 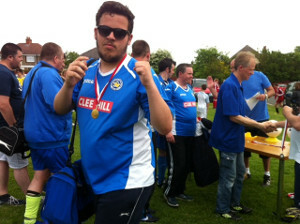 Celebrations continue in the Clubhouse until 7.00pm. 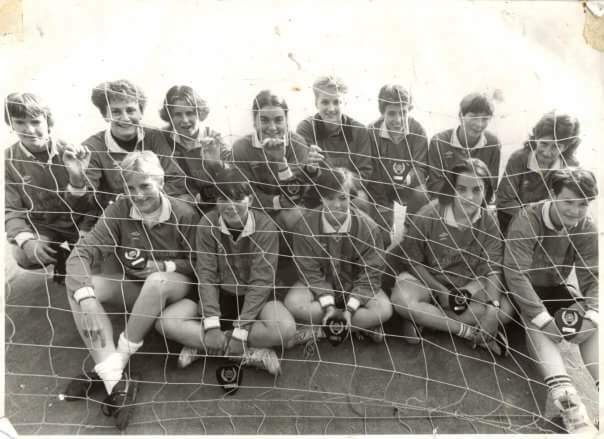 Dig out your old photos!! 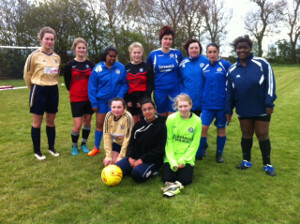 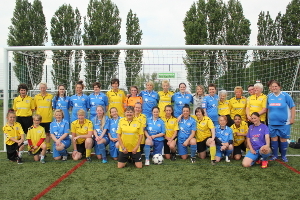 and post them onto our website portal, or just email photos and info to 50@lclfc.co.uk, We would love to hear from you. 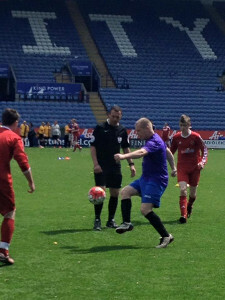 C’mon get your boots out for a game!! 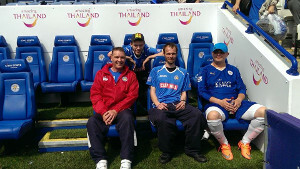 or just come along and catch up with friends. 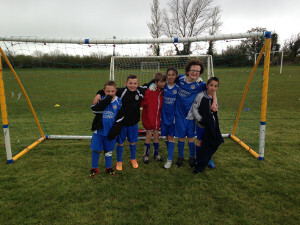 New players welcome too for our Juniors from 5-16yrs and also Senior players 16 plus for our Senior Squads.